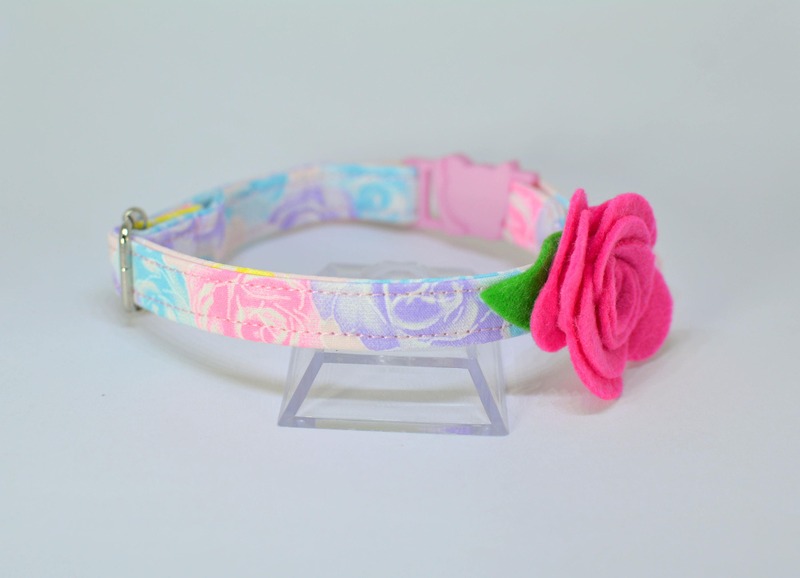 "Thousand Roses" collar is made from beautiful cotton picturing pastel roses in blue, purple, and pink, thus its name. 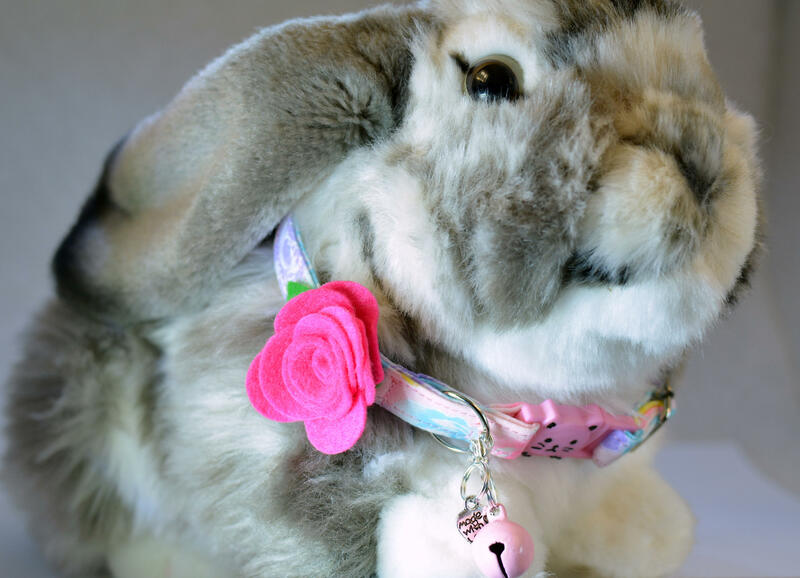 A small pink rose and green leaf is handmade from soft felt. 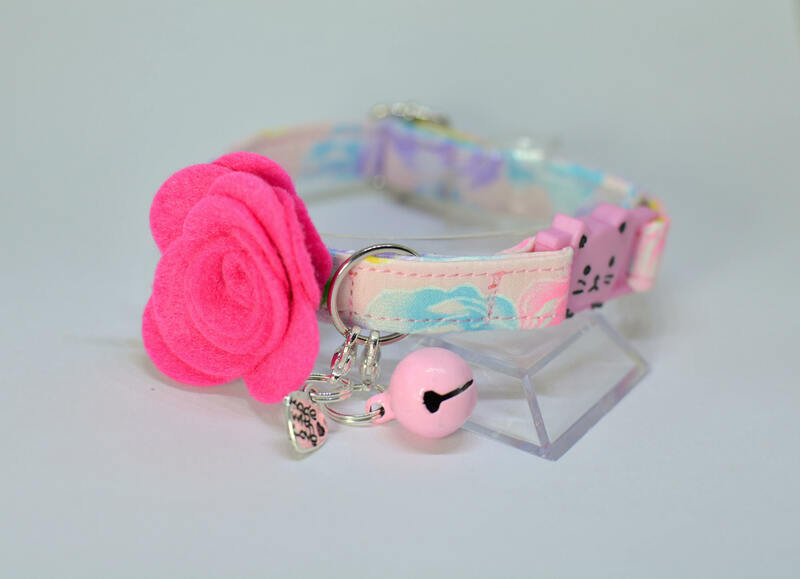 It is permanently attached to the collar. 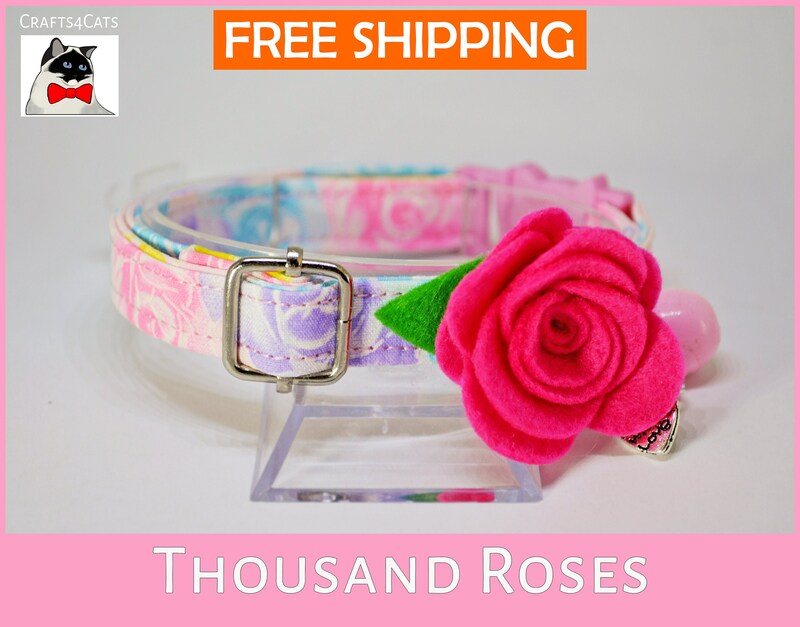 This collar and flower bow is aimed for cats, kittens of at least 4 months, and they will also look very sweet on bunnies. 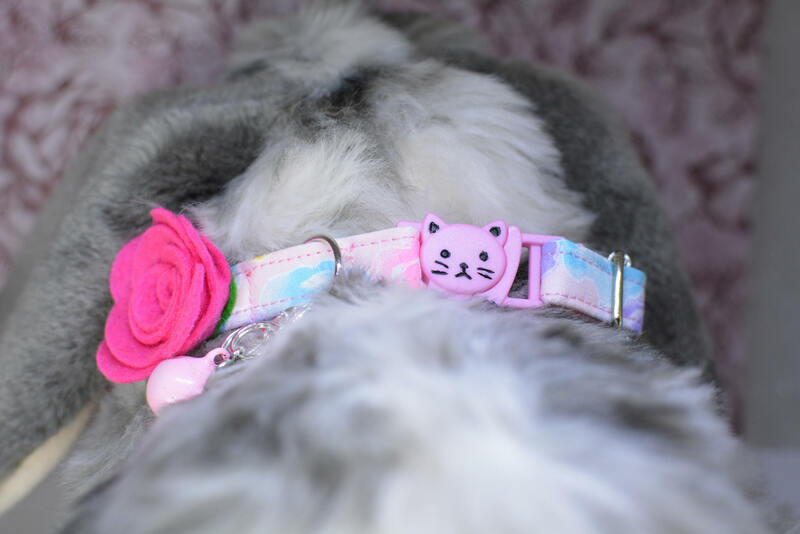 The type of buckle I use on this collar is breakaway and therefore it will not be suitable for dogs. ✓ Lightweight - felt rose is approximately 1.3'' (35mm) wide. ✓ Felt rose available in these colours : pink, purple, wine red, blue. 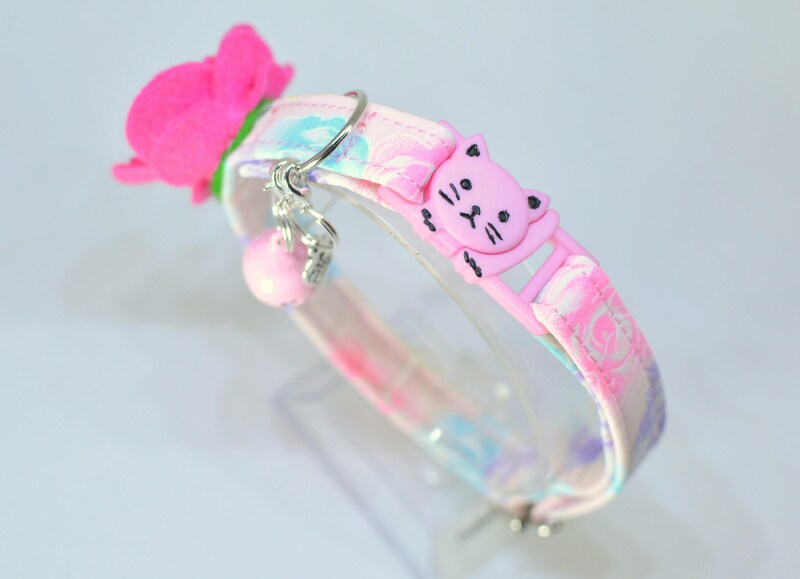 Please write your engraving text in "Add a note to Crafts4Cats" during the checkout. 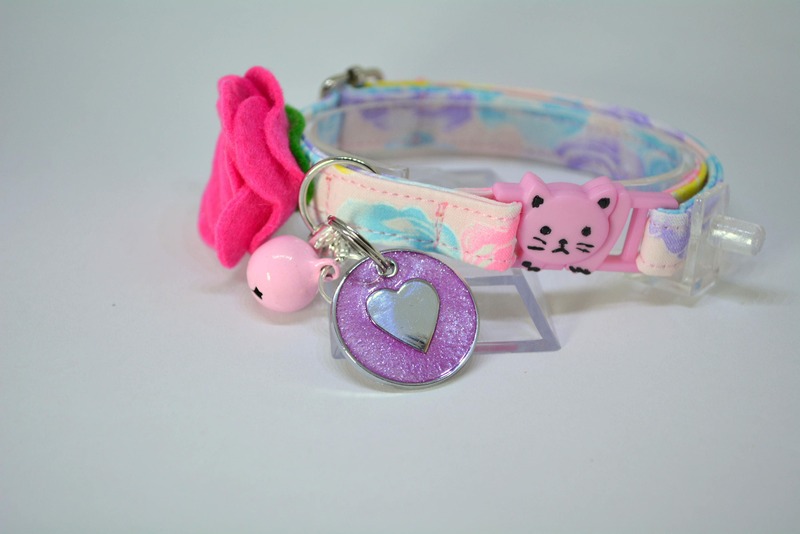 ✓ Personalised pet tag with a heart on one side and your pet name on the other size. 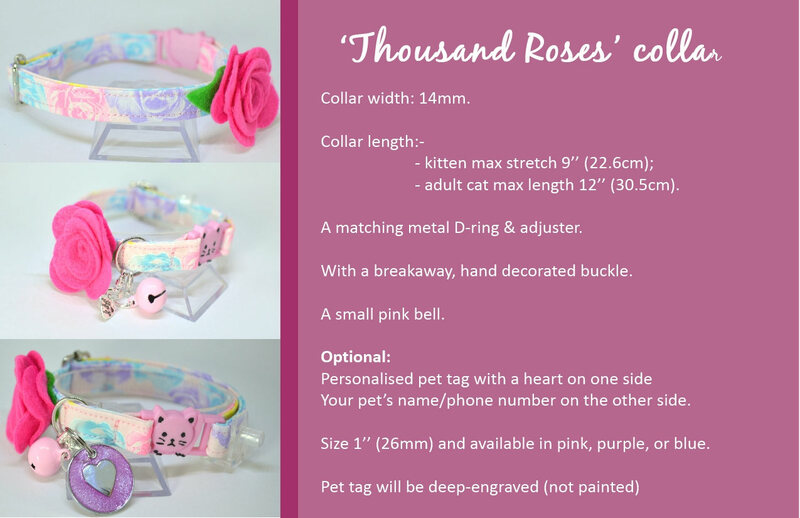 Please note that engraving will be on one side of the pet tag only. Colours: available in pink, purple, or blue.